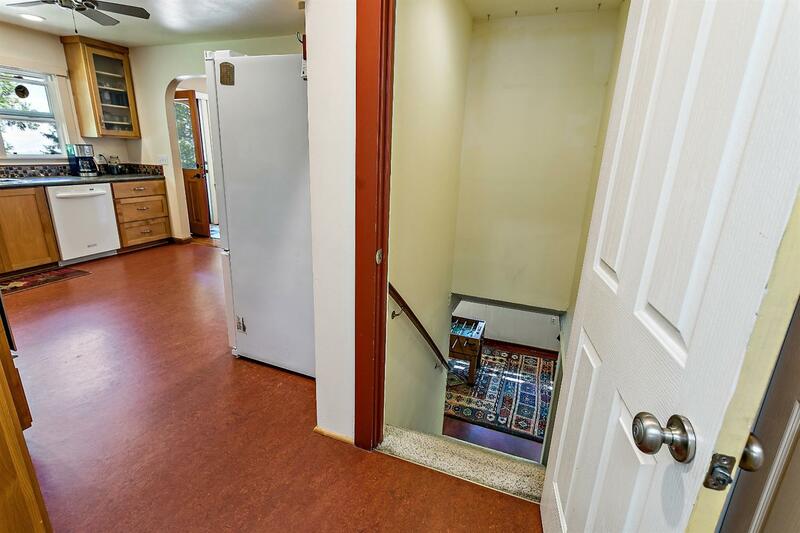 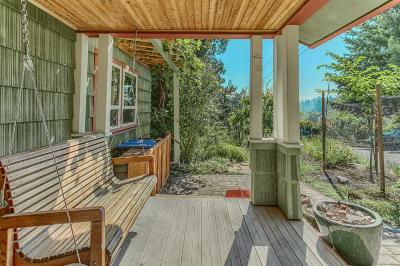 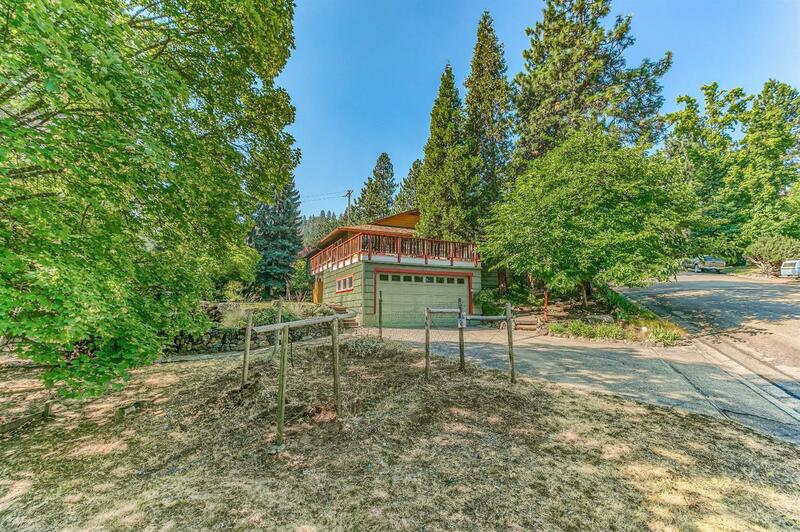 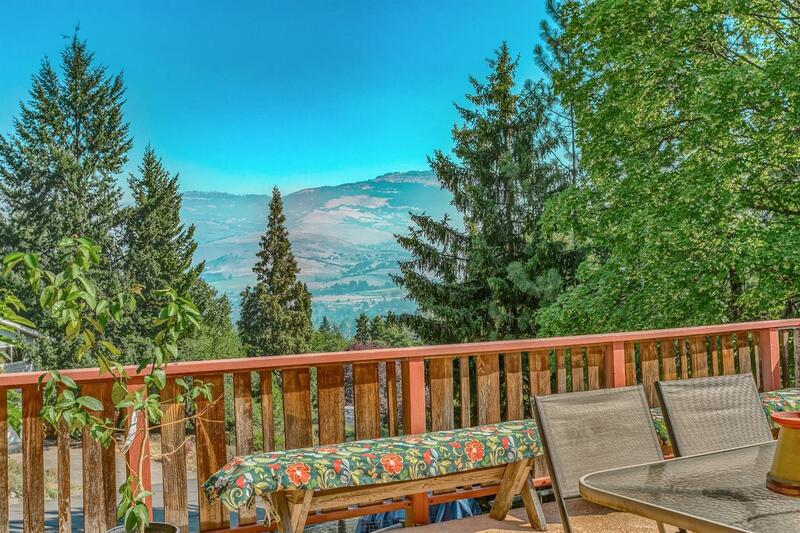 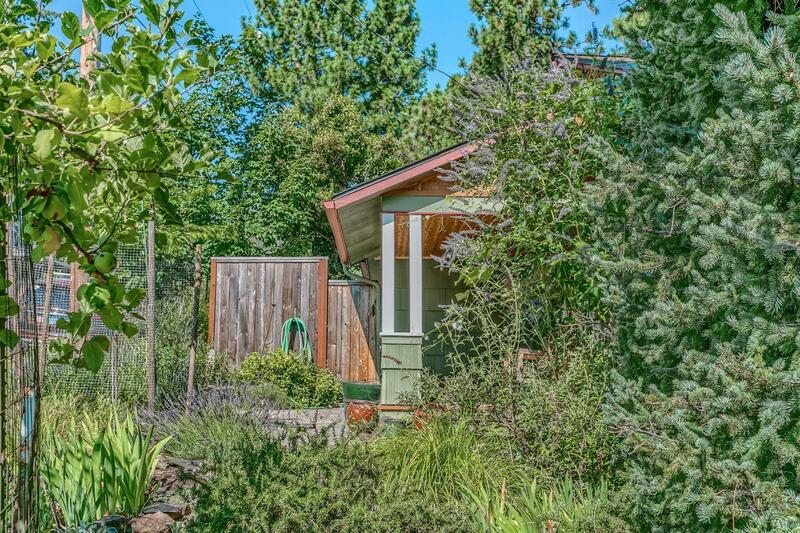 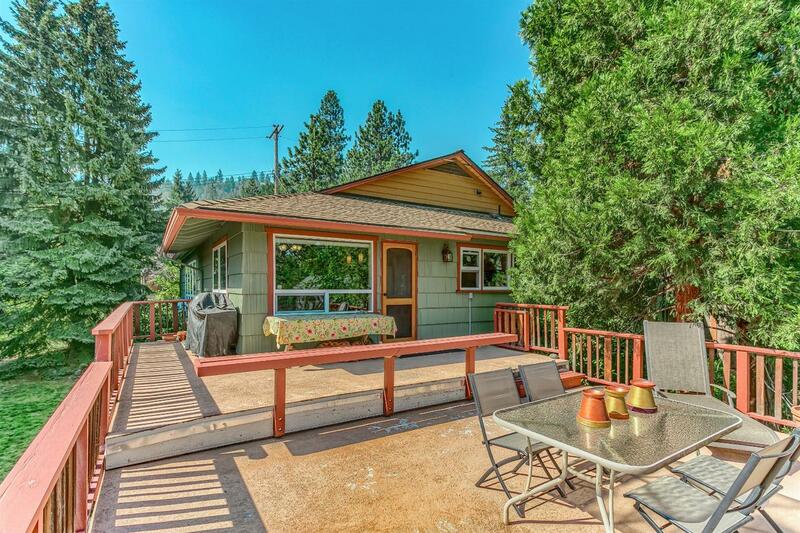 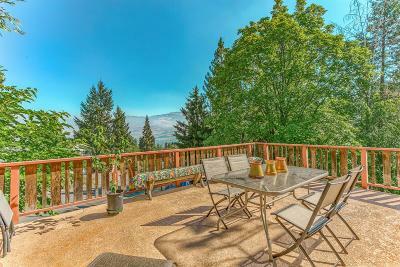 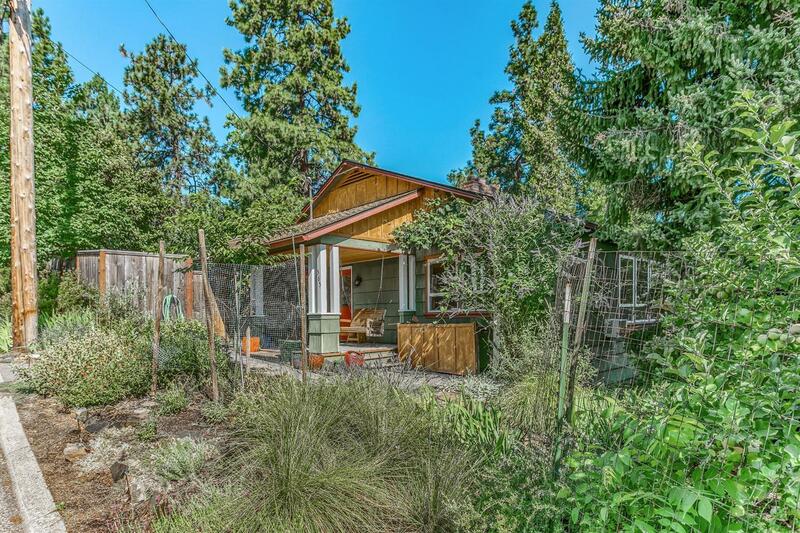 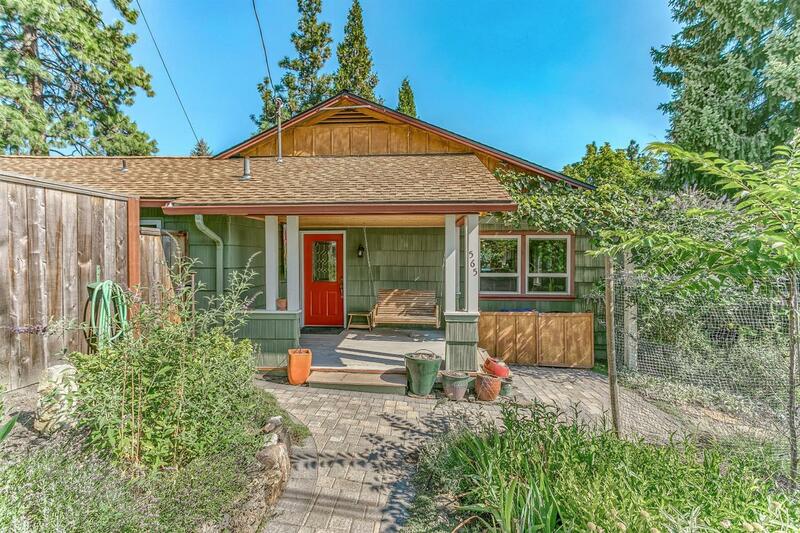 Wonderful craftsman home in highly desired location that offers views of Grizzly Peak yet still close to downtown Ashland. 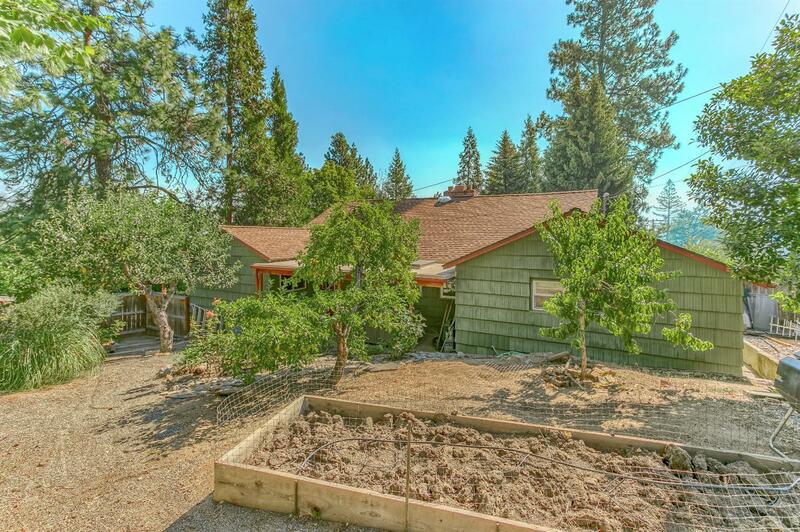 Sitting on .4 of an acre, this home offers space and privacy that is hard to find in such a fantastic location. 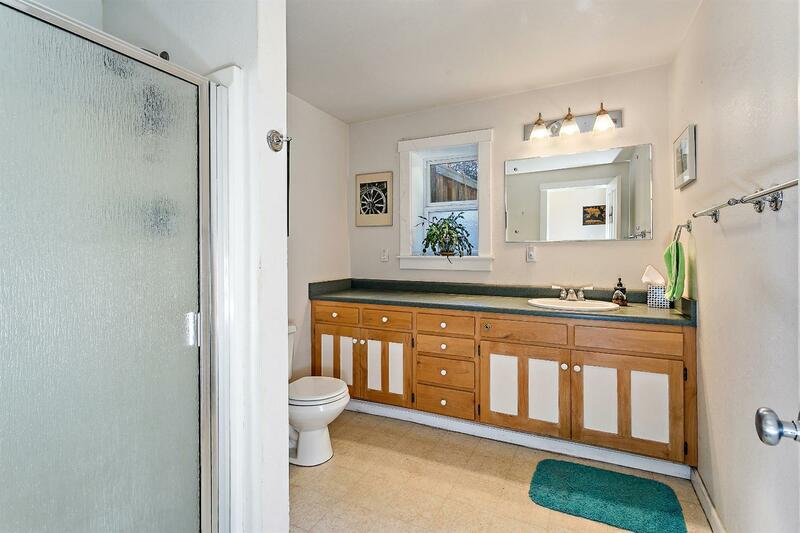 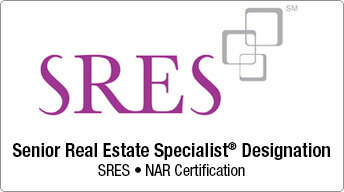 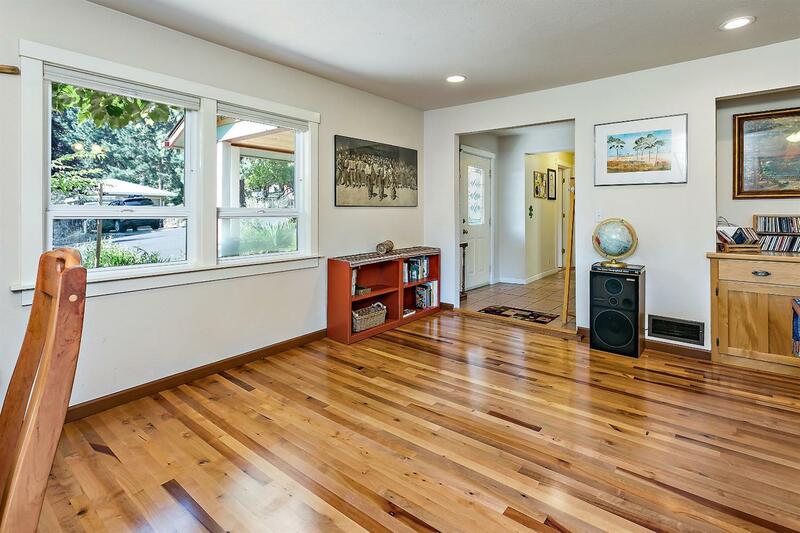 The home has four bedrooms and two baths that are laid out to enhance separation from the main living space. 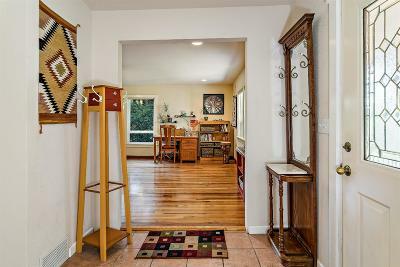 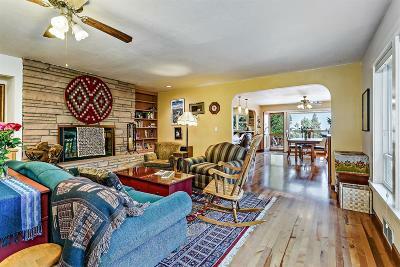 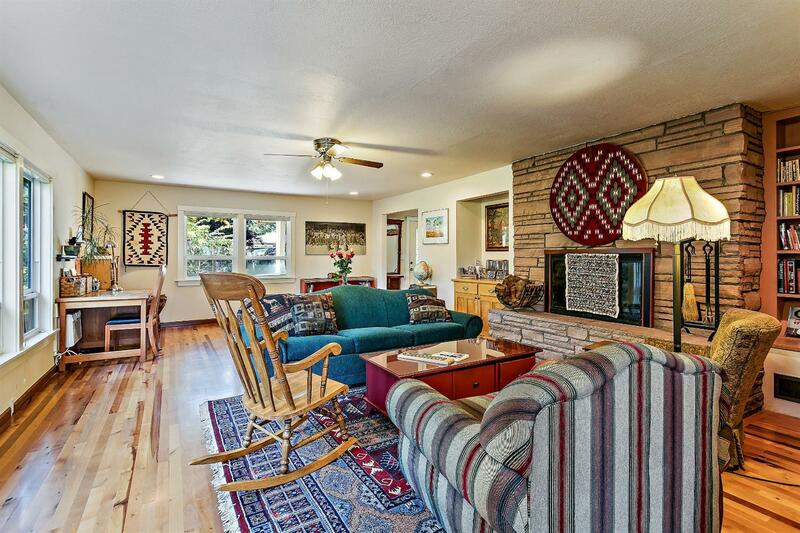 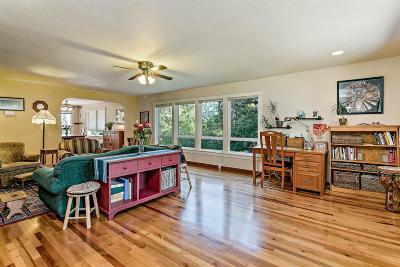 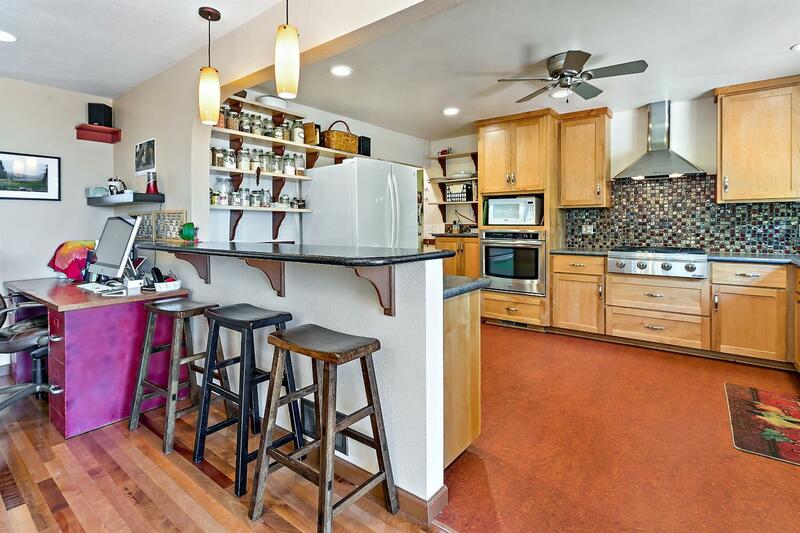 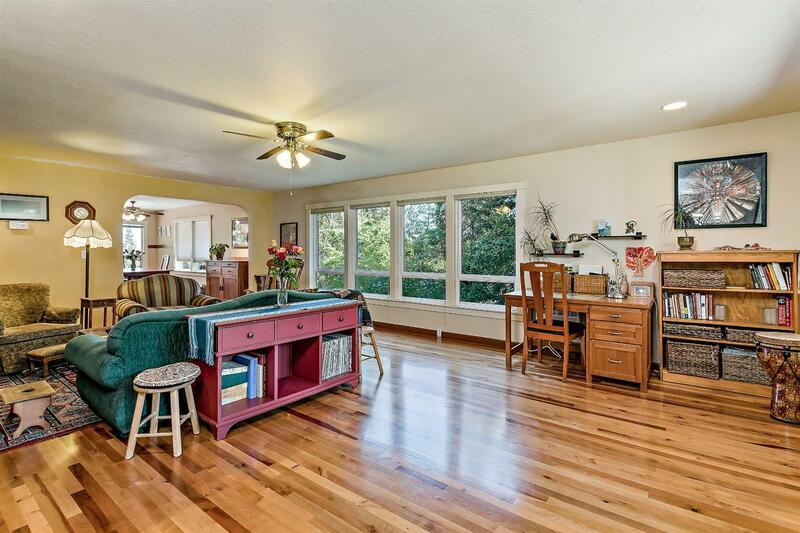 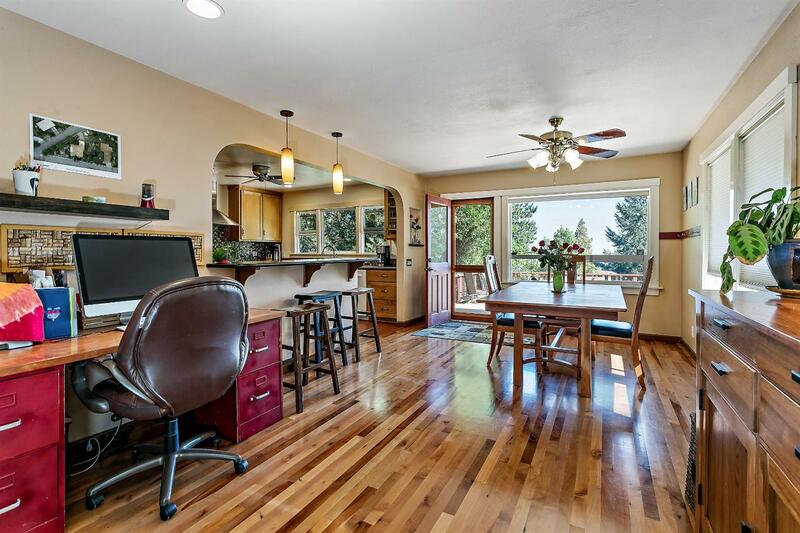 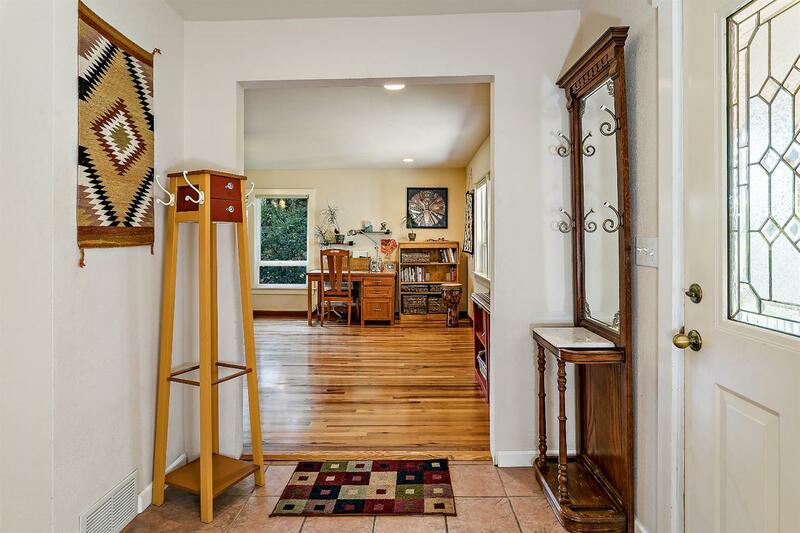 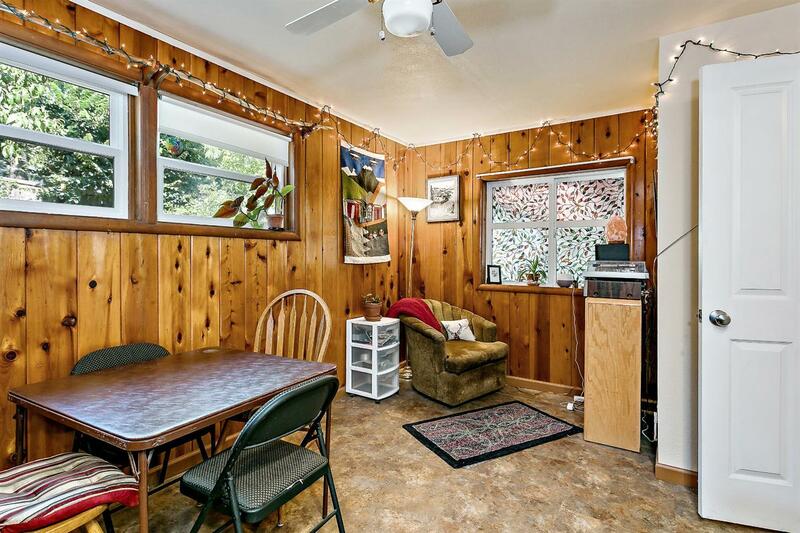 The open concept living area has beautiful madrone flooring that ties the space together. 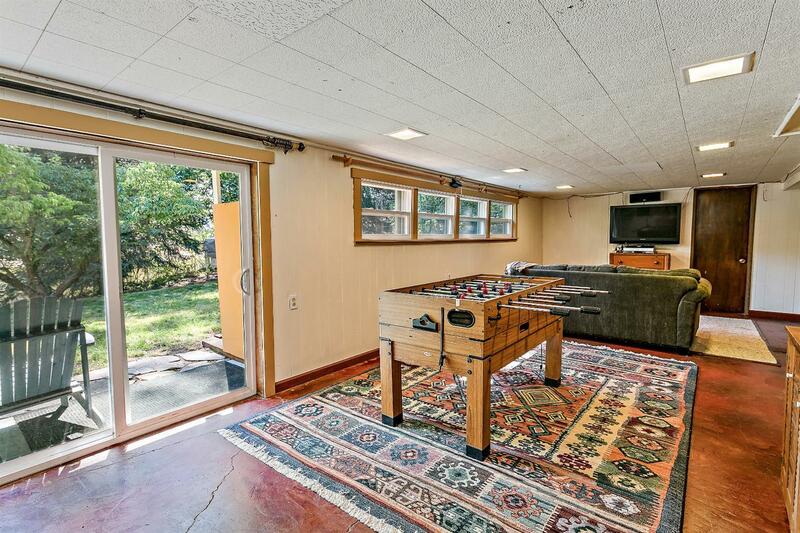 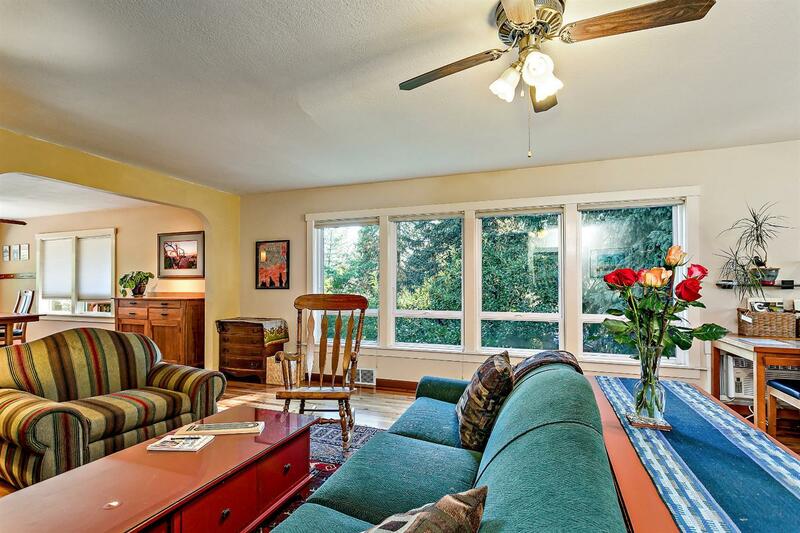 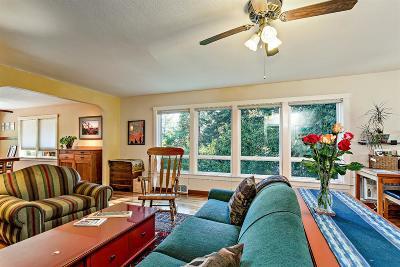 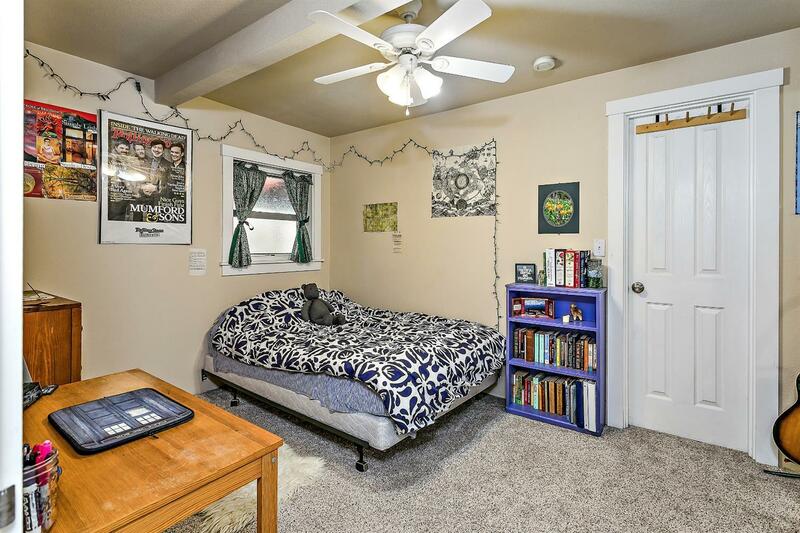 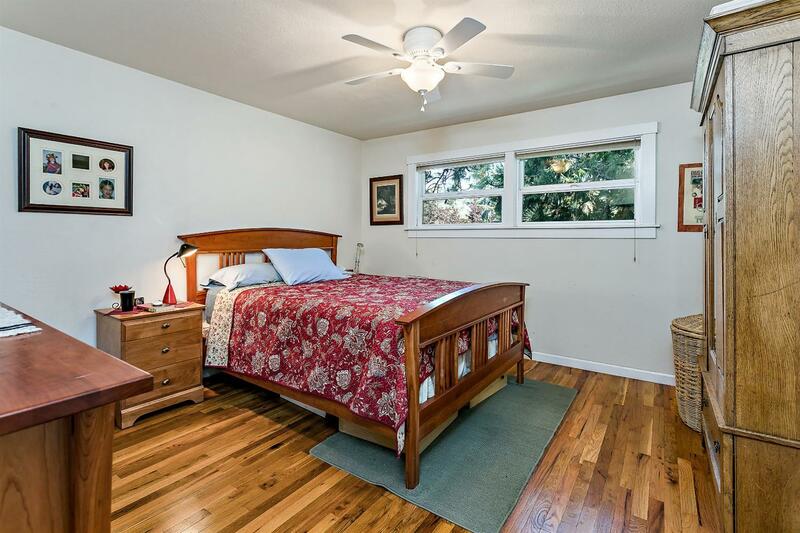 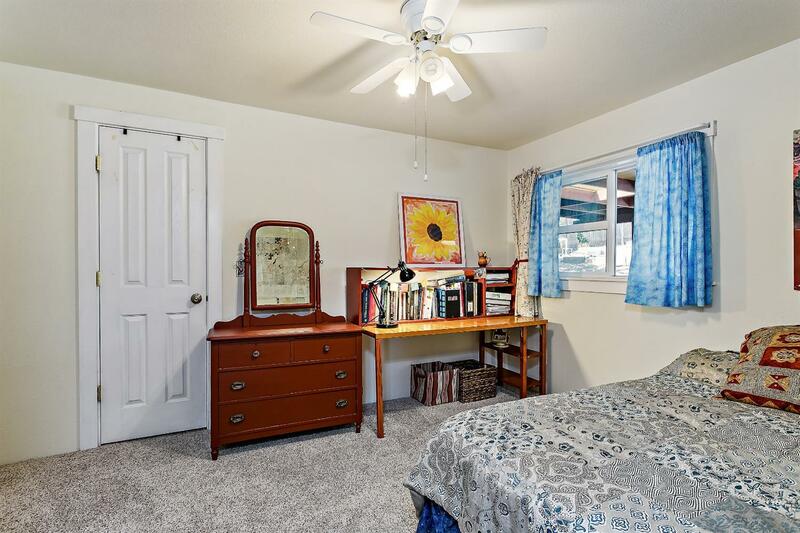 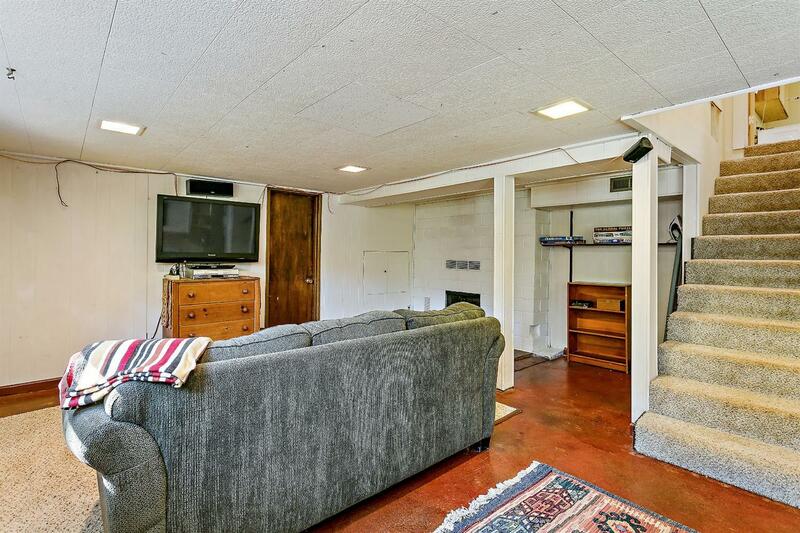 Large picture windows in the living room provide ample natural light and views of the yard. 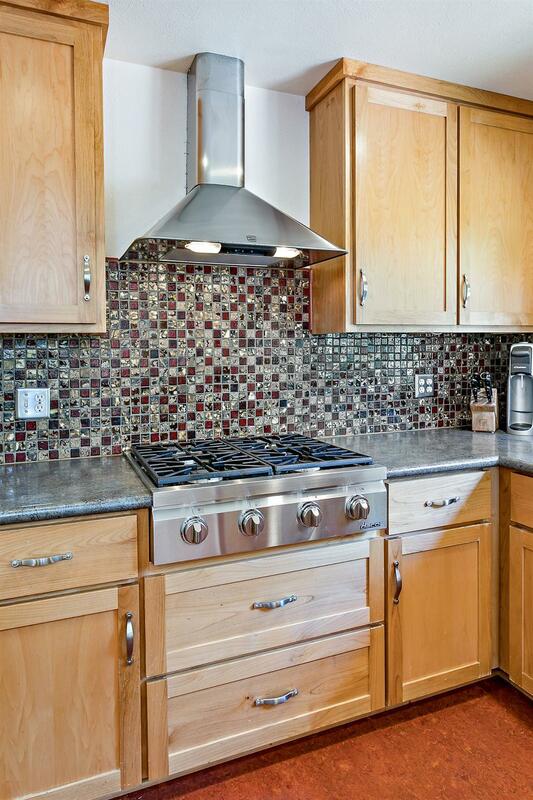 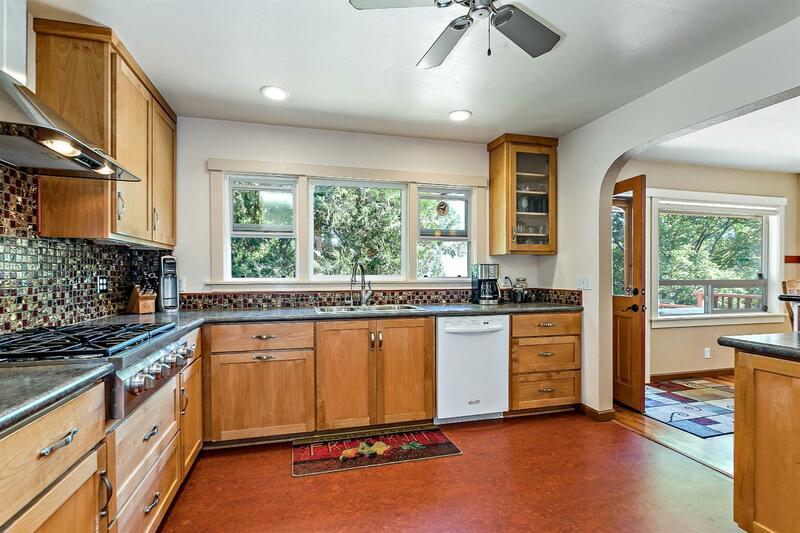 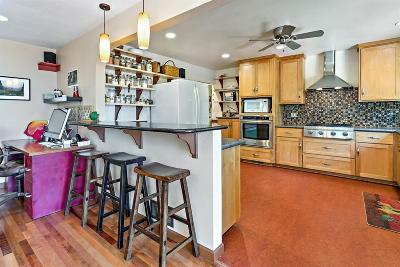 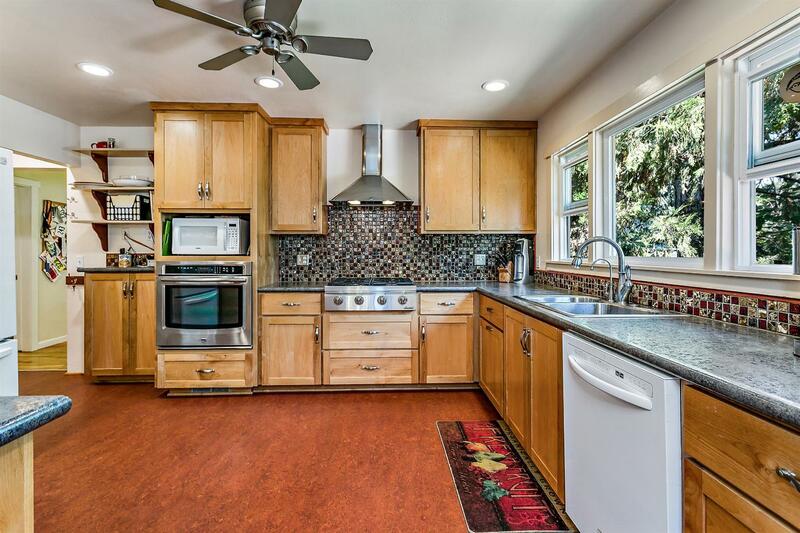 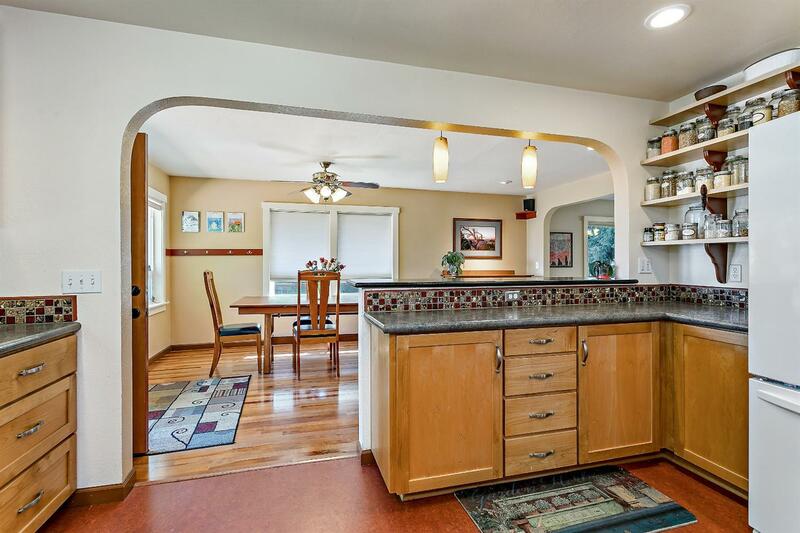 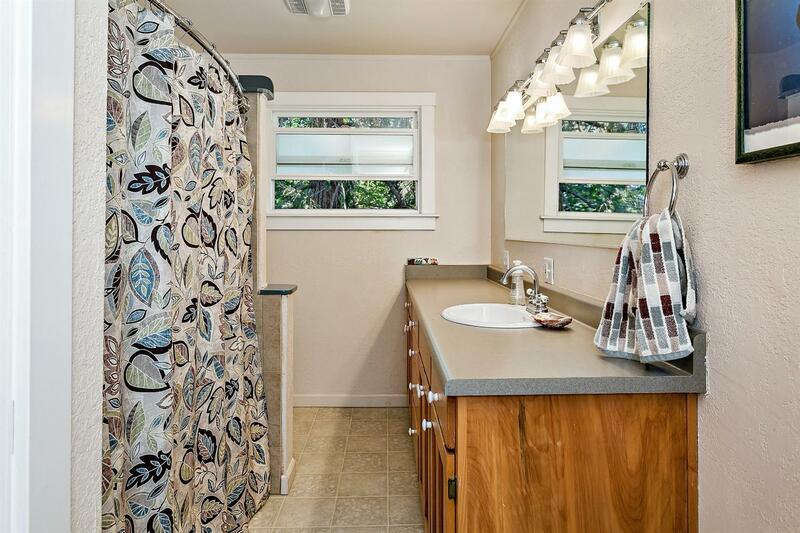 The updated kitchen has alder cabinets, custom tile and a chef's quality gas stove. 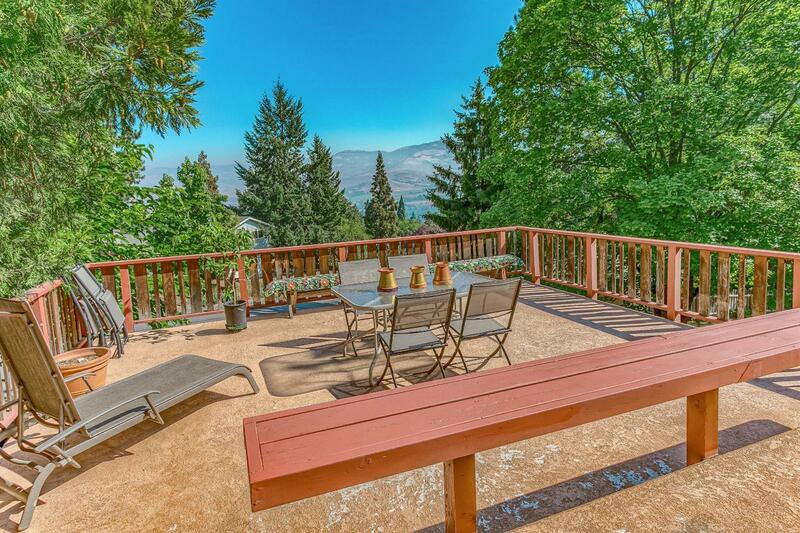 Off the dining room is a large deck that has incredible views of the valley and Grizzly Peak, making it the perfect place for outdoor living/entertaining. 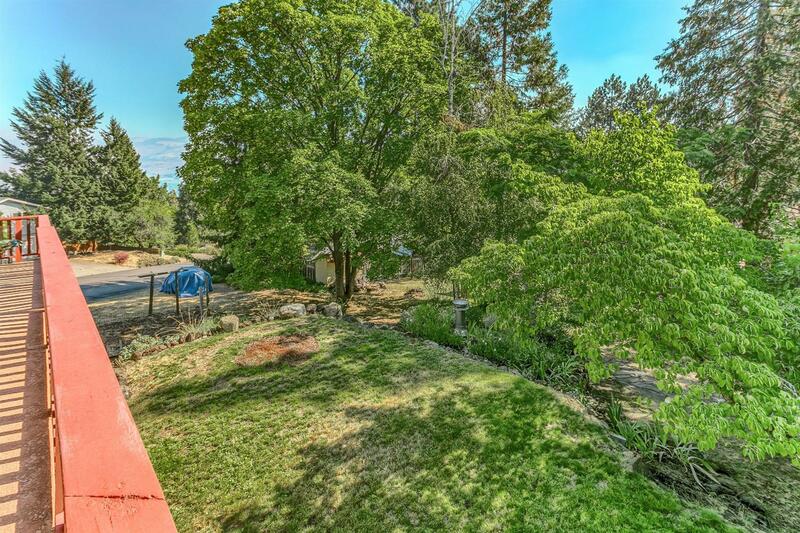 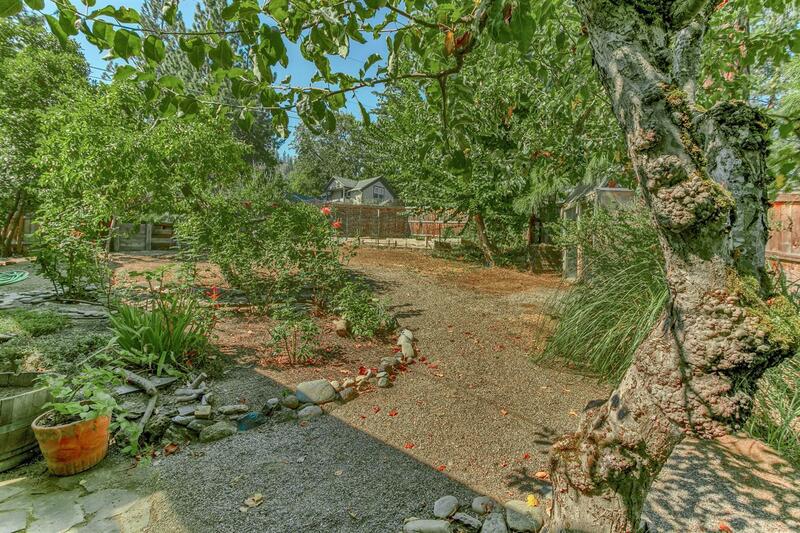 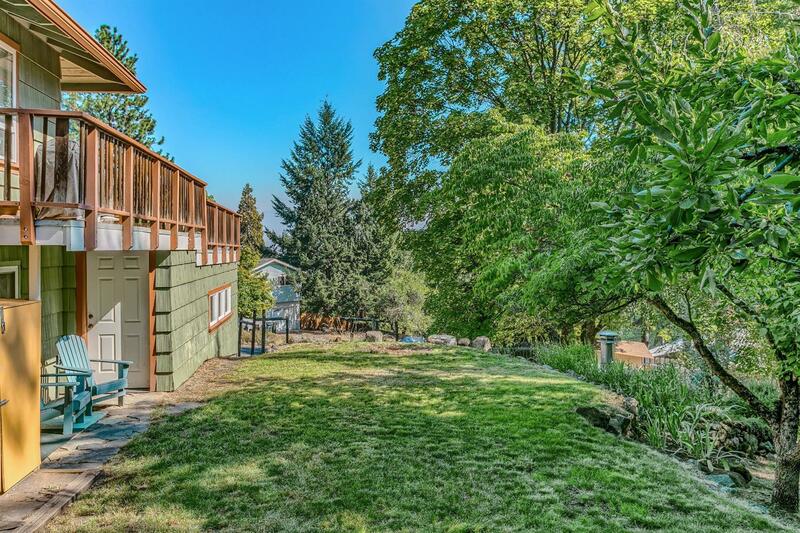 The large lot has many mature trees and gardens and also leaves space for a potential ADU (check with city).